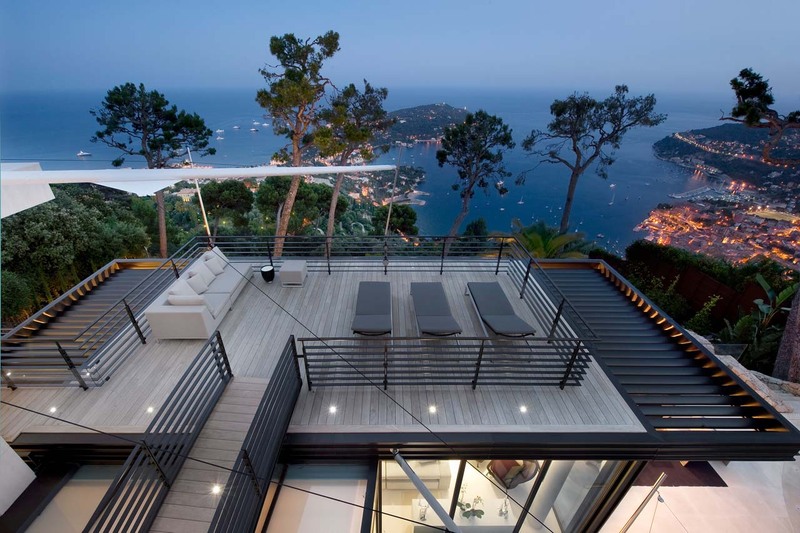 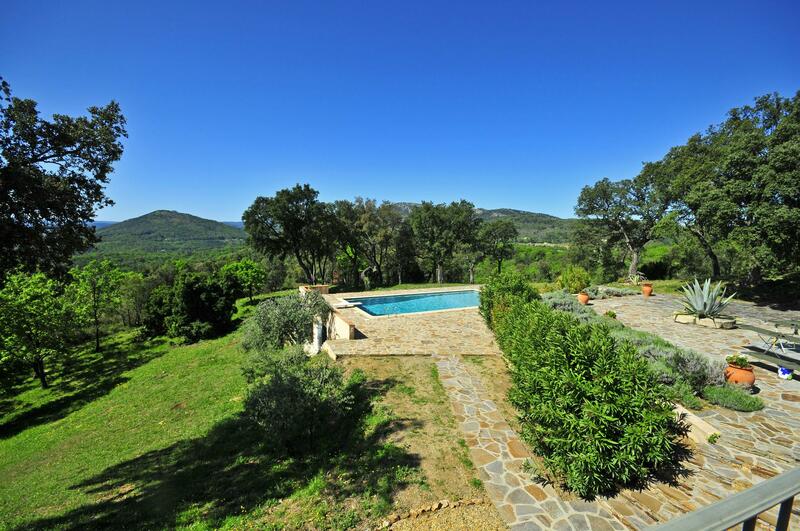 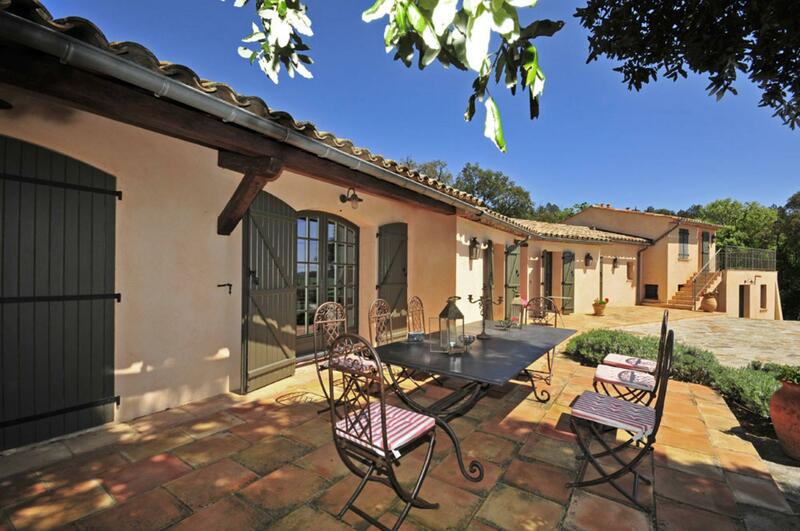 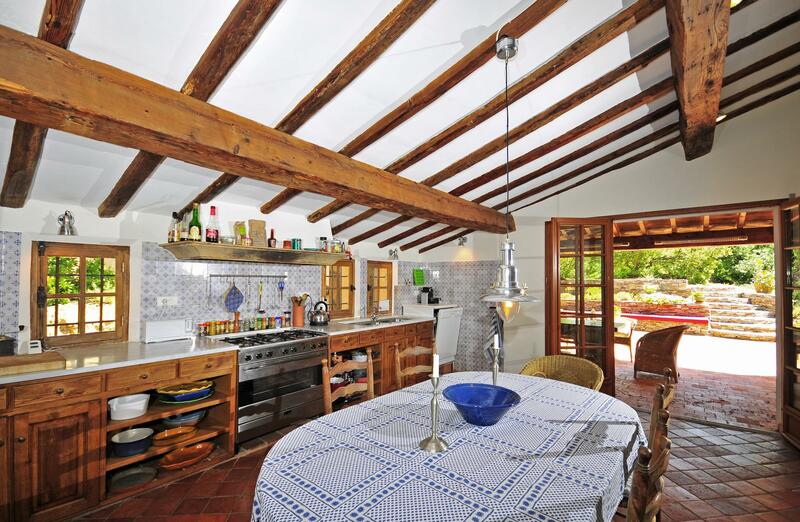 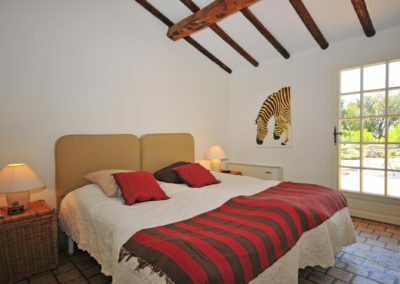 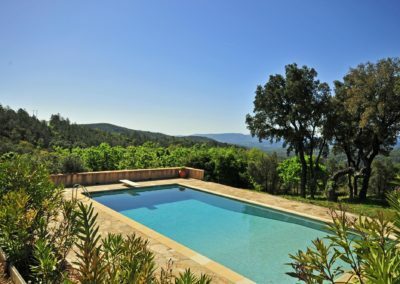 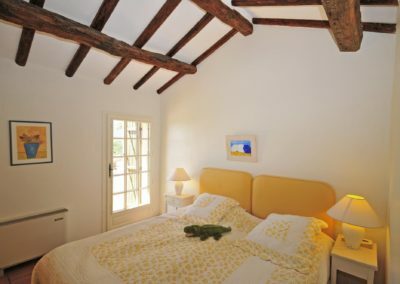 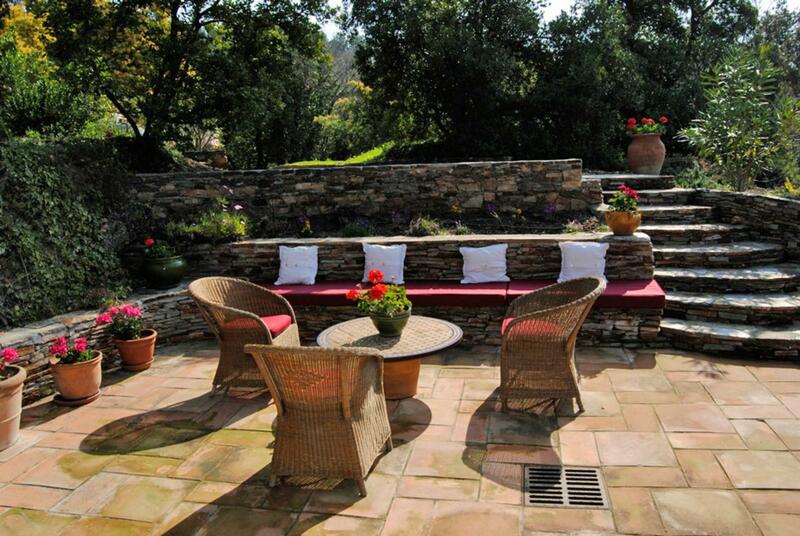 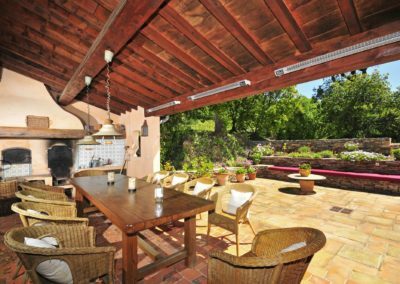 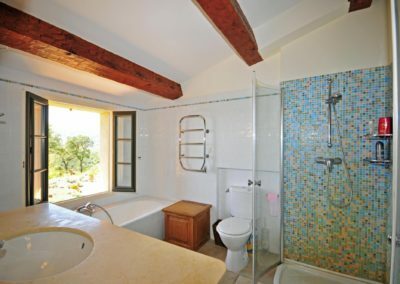 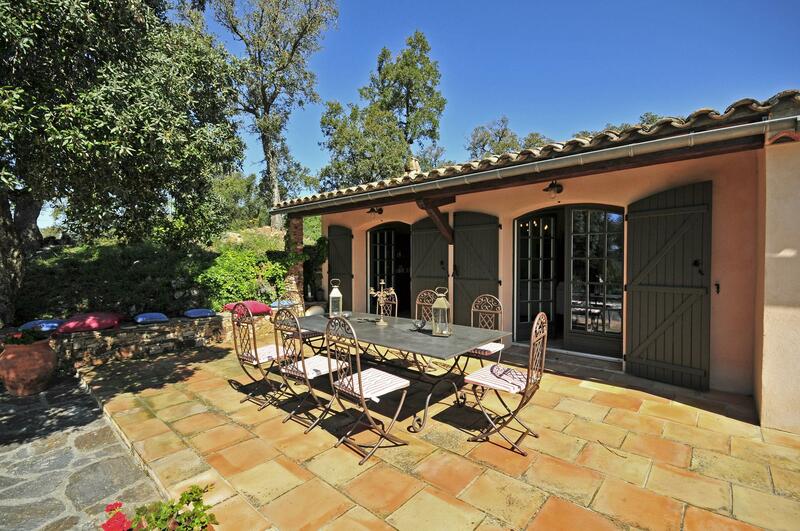 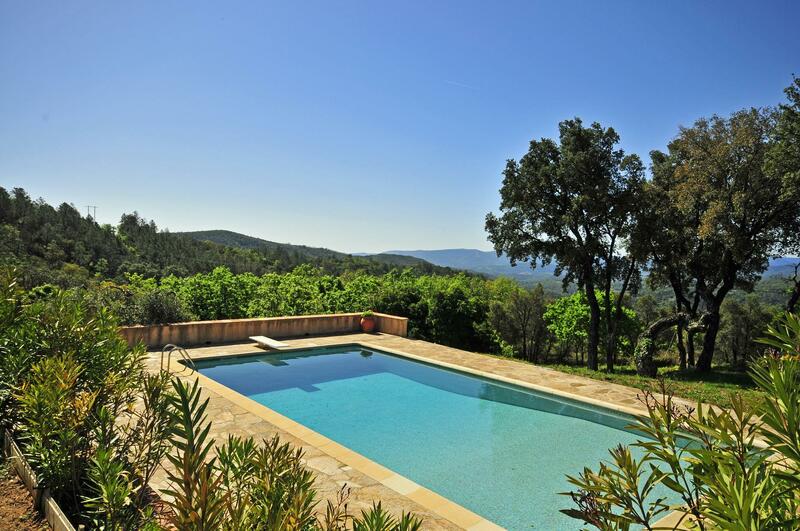 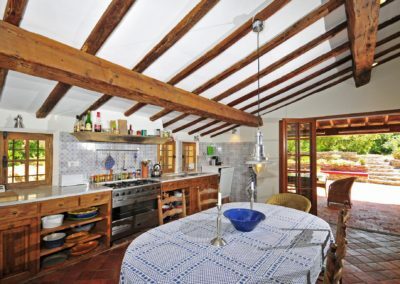 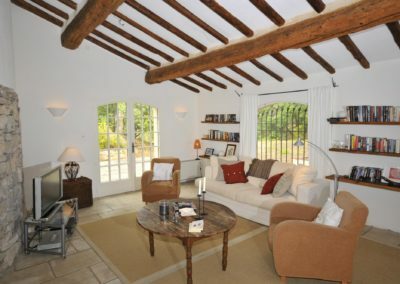 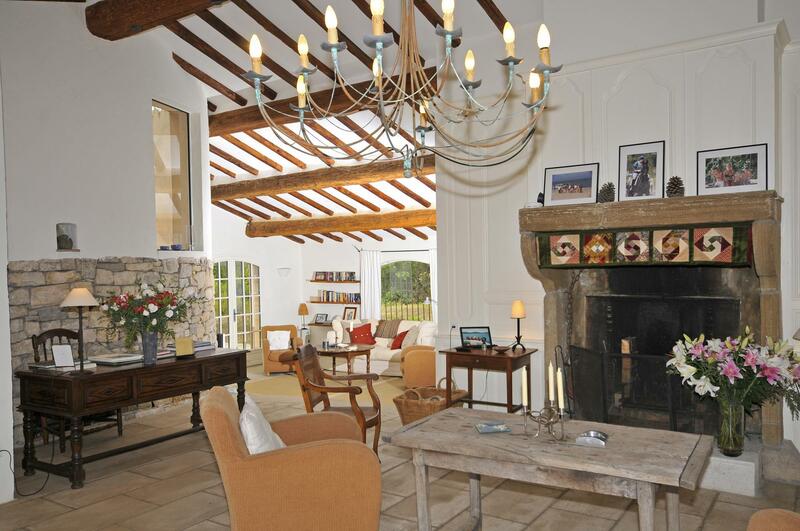 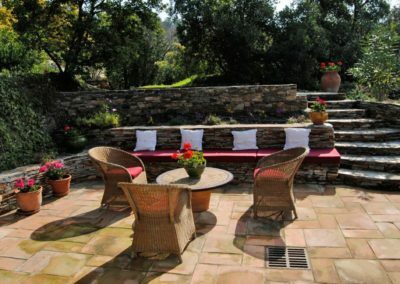 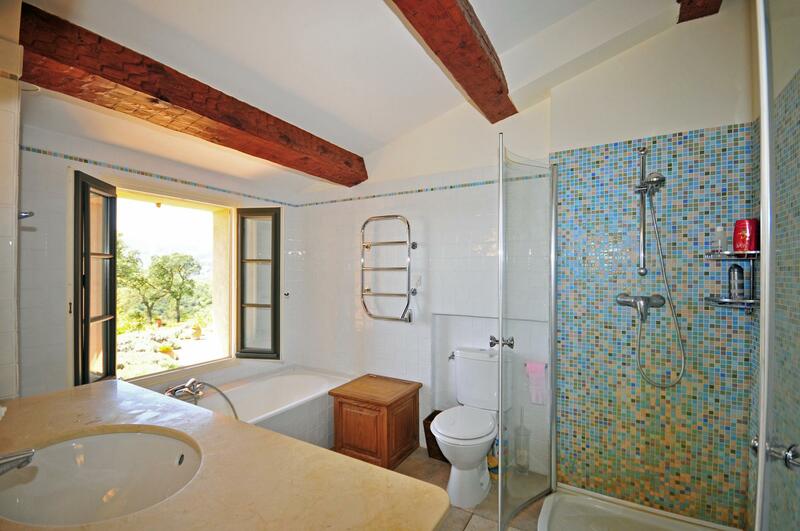 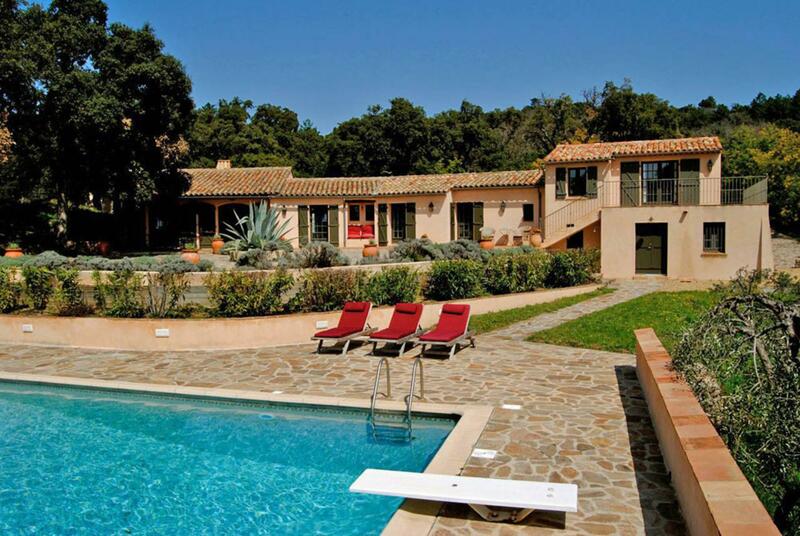 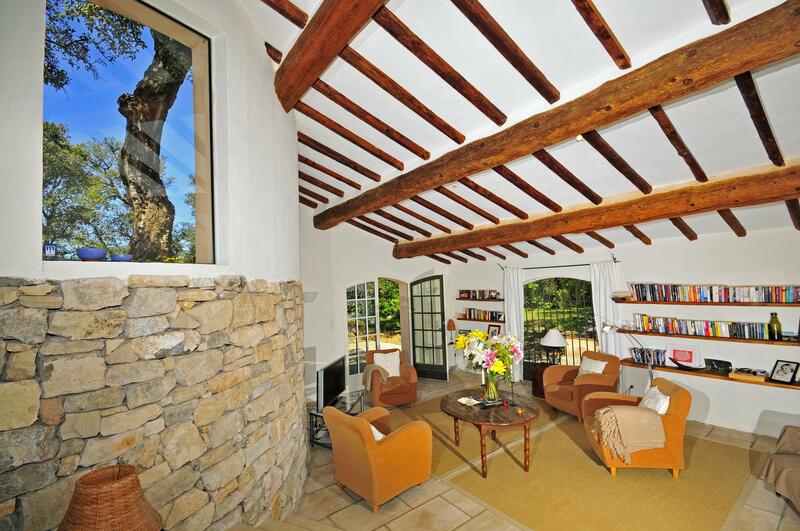 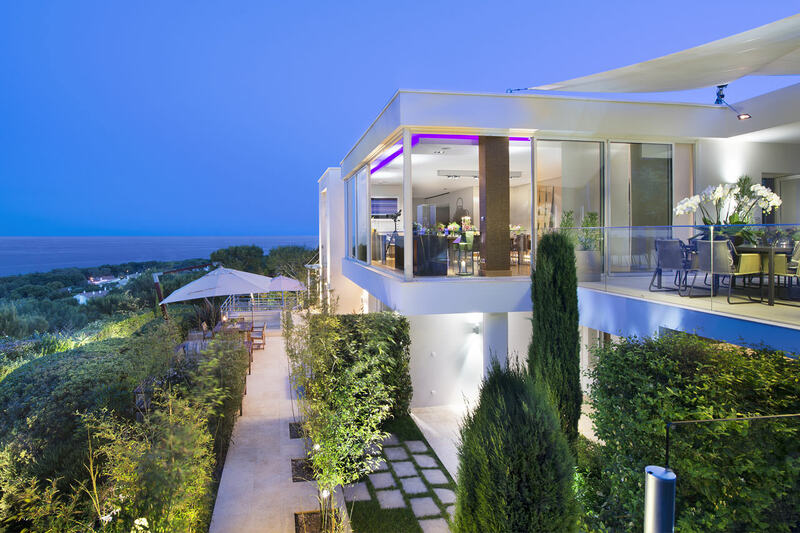 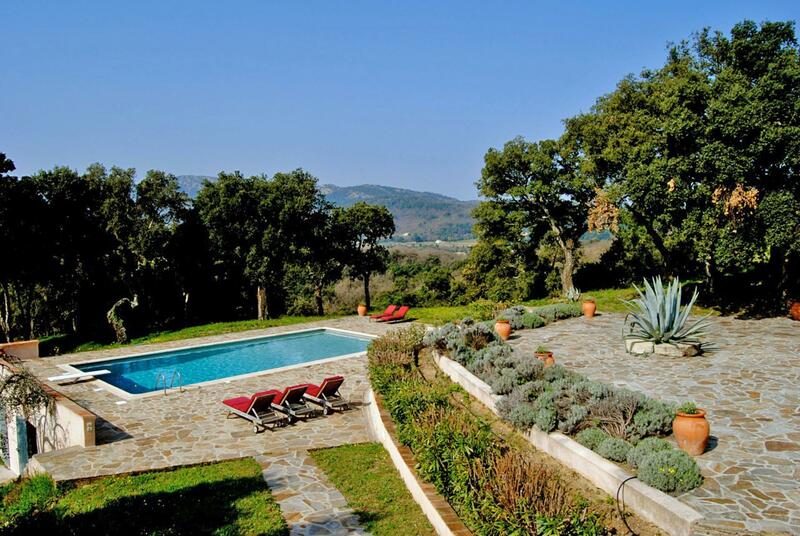 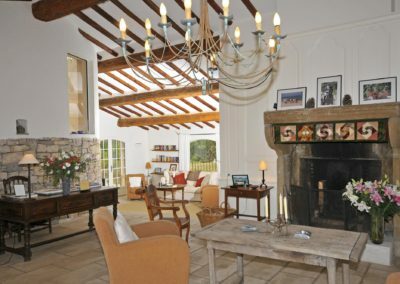 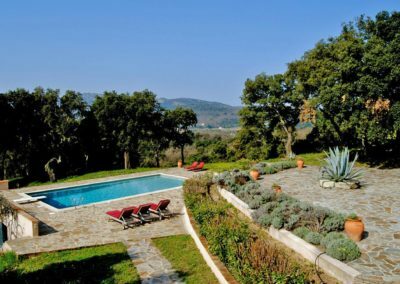 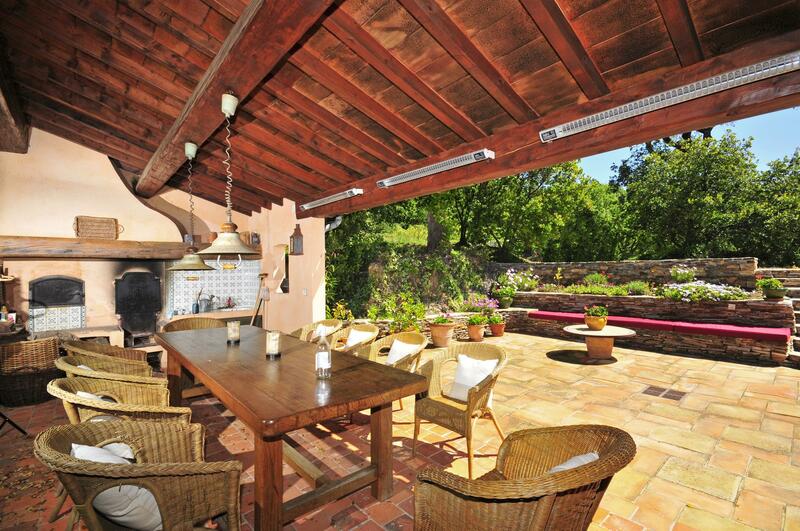 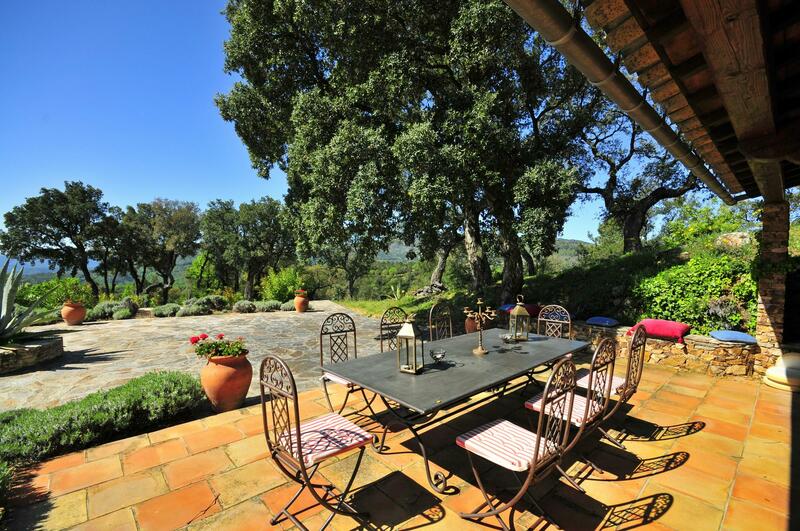 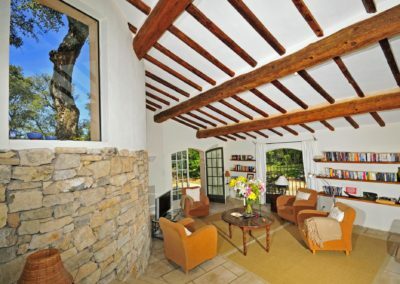 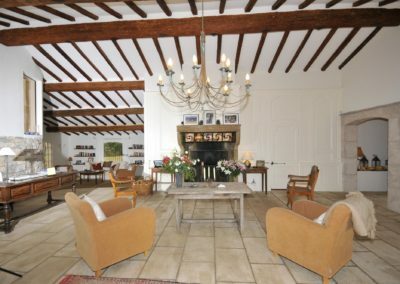 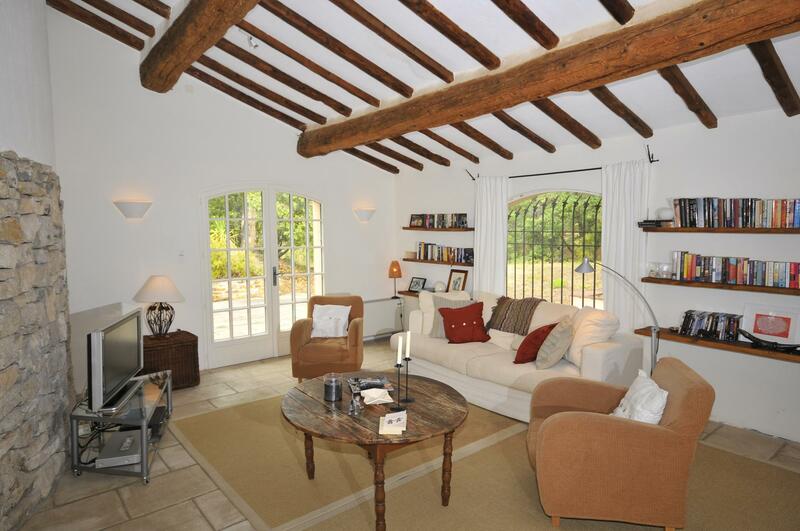 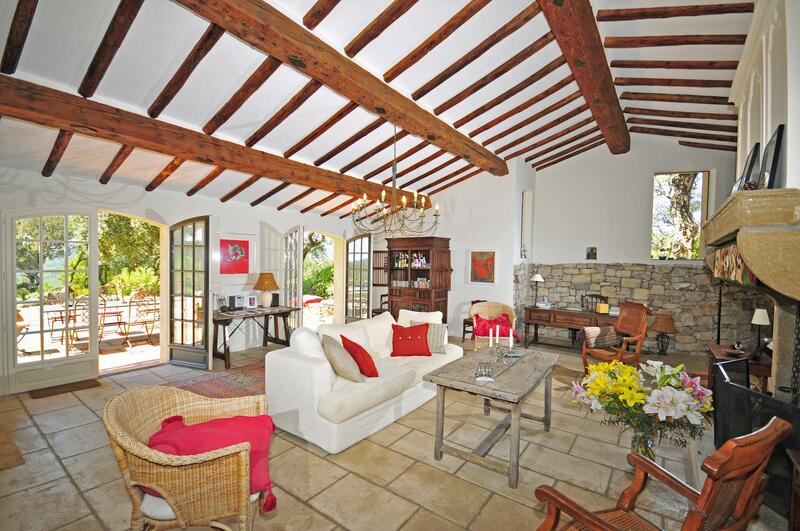 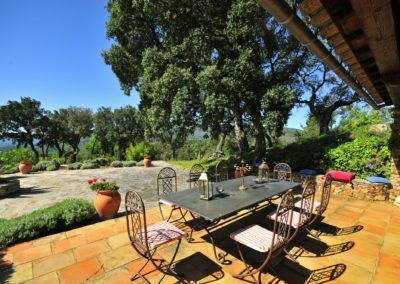 Holiday rental South of France – Set in the wooded hills around La Garde Freinet, La Biche au Bois is a lovely, split-level villa with far-reaching views over the surrounding countryside, benefitting from a peaceful country setting and the proximity of lively St Tropez, only 30 minutes’ drive. 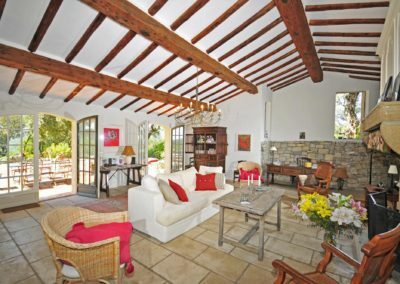 Beamed ceilings, terracotta tiled floors and a large stone fireplace lend a cosy, traditional feel to an otherwise large, spacious home with beautiful contemporary furnishings. 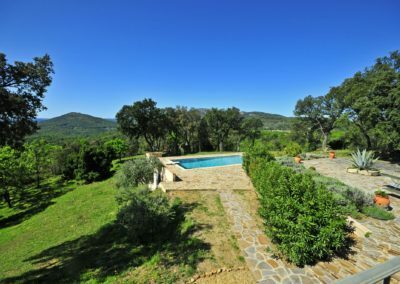 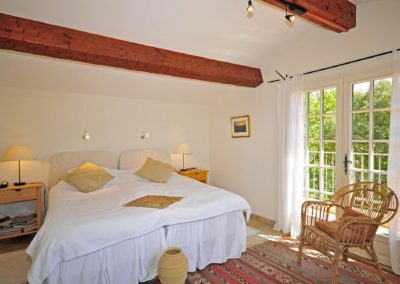 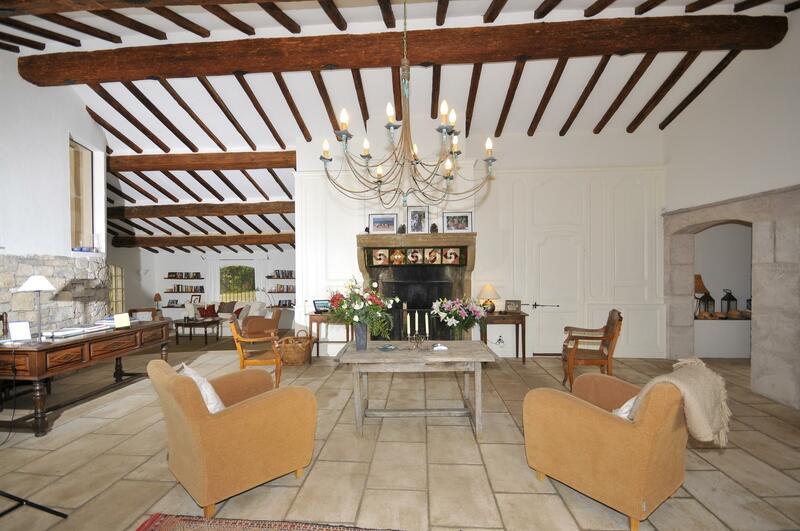 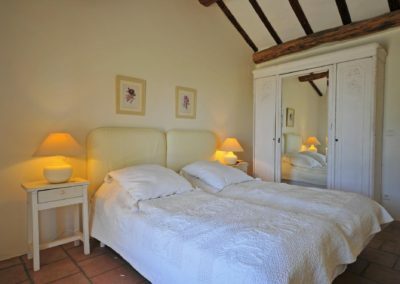 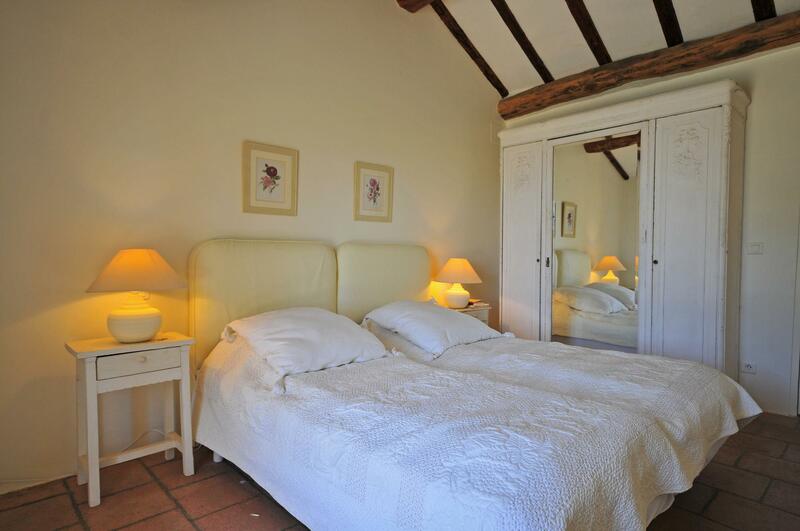 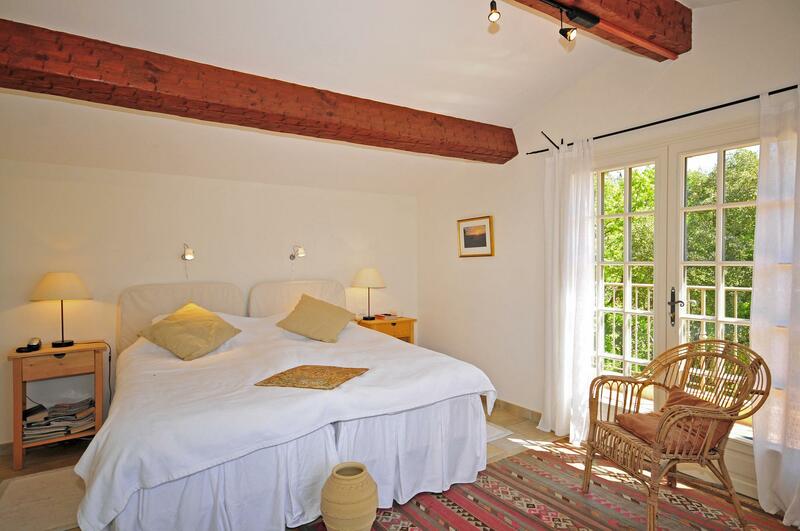 This is the perfect South of France holiday rental location; very private, surrounded by peaceful countryside away from the madding Riviera crowds, yet only 30 minutes’ drive from St Tropez’s lively beaches, pavement cafes and nightclubs. The local medieval village of La Garde Freinet hosts colourful twice weekly markets and has numerous shops and restaurants. 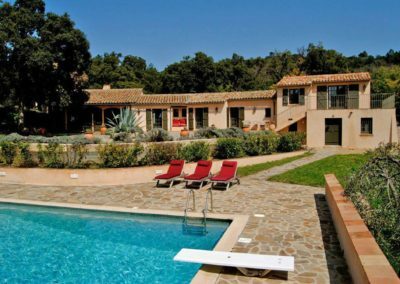 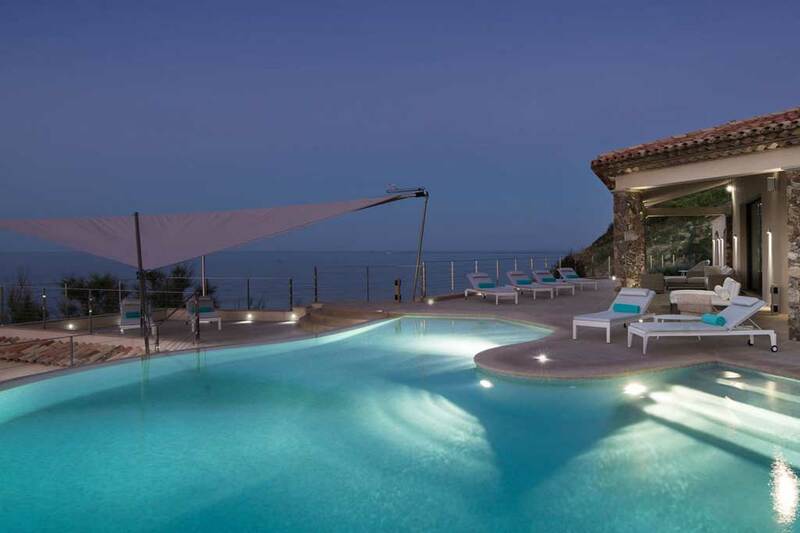 There are plenty of activities ranging from golf at Beauvallon, tennis in La Garde Freinet, sailing, surfing and water skiing on the coast, horse riding and cycling in the surrounding hills, not forgetting the increasingly popular Polo matches held in the South of France holiday rental region.